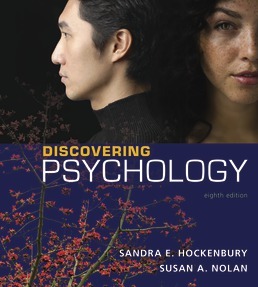 Psychology jumps off the page and comes alive as you explore key concepts through personal stories and extensive analysis of the field’s scientific foundations and advances with Discovering Psychology. Written in a student-friendly way, concepts are explained in an accessible way with a focus on developing scientific literacy within the framework of psychology. 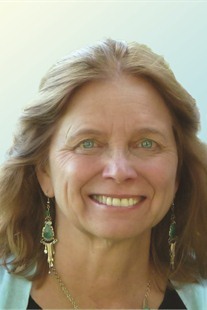 Sandra E. Hockenbury is a science writer who specializes in psychology. Sandy received her B.A. from Shimer College and her M.A. from the University of Chicago, where she was also a research associate at the Institute of Social and Behavioral Pathology. Prior to co-authoring Psychology and Discovering Psychology, Sandy worked for several years as a psychology editor in both academic and college textbook publishing. Sandy has also taught as an adjunct faculty member at Tulsa Community College. Sandy’s areas of interest include positive psychology, cross-cultural psychology, and the intersection of Buddhist philosophy, neuroscience, and psychology. She is a member of the American Psychological Association (APA), the Association of Psychological Science (APS), and the American Association for the Advancement of Science (AAAS). Sandy is a member of the Board of Trustees of Shimer College and recently served as a volunteer with Nomads Clinic, a nonprofit organization that brings medical care to remote areas in the Himalayan regions of Nepal and the Tibetan Plateau. Don and Sandy’s daughter, Laura, is a college senior and geology major who, like her parents, has wide-ranging interests, including climate change, sustainable development, psychology, and the arts. A classical and improvisational pianist, co-director of her college comedy sketch group, and enthusiastic member of the 2011 Division III Ultimate college women’s championship team, Laura has recently taken up the mandolin. 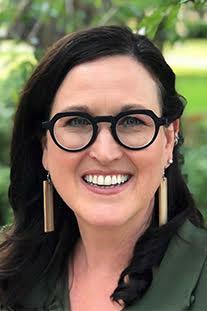 Susan A. Nolan is a Professor of Psychology at Seton Hall University in New Jersey. Susan researches interpersonal consequences of mental illness and the role of gender in STEM fields. Susan holds leadership roles in the Society for the Teaching of Psychology and is the President of the Eastern Psychological Association — while also being a Fellow of the American Psychological Association. She regularly gives talks about incorporating scientific literacy into the introductory course and across the psychology curriculum. Susan particularly enjoys her time in the classroom teaching Introductory Psychology, Abnormal Psychology, International Psychology and Statistics.